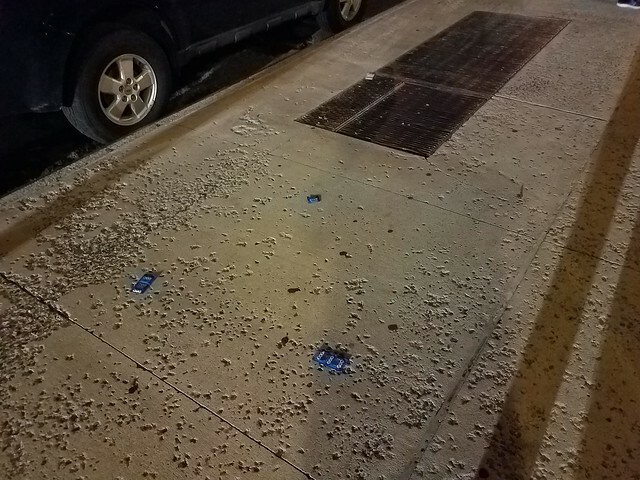 Found a trail of condoms leading around the corner at 13th Street and Avenue B in Manhattan, New York City last night around 11:45 PM or so, July 21st 2017.I mean, who did this? And how did it happen? Was it a break-up because someone was cheating and someone girl was flinging condoms at her former guy? Or was it happy craziness? I mean, who did this? And how did it happen?Was it a break-up because someone was cheating and someone girl was flinging condoms at her former guy? Or was it happy craziness? Was it a break-up because someone was cheating and some girl was flinging condoms at her former boyfriend? Was it happy craziness and people were just tossing condoms around for laughs? Was someone making an important delivery of condoms and their satchel ripped open, leaving a trail?